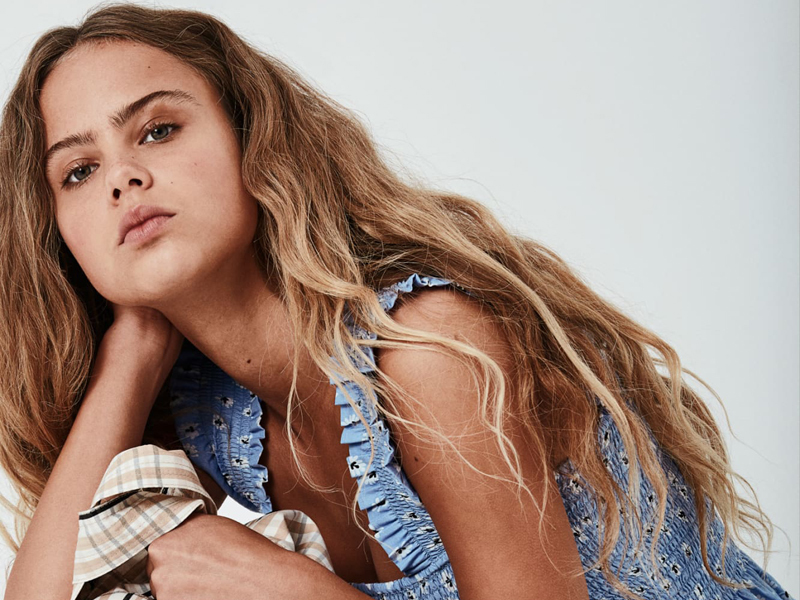 Danish brand Ganni has opened up shipping to the US and launched a new e-commerce site for its US consumers in the first non-European market expansion for the Copenhagen-based brand. Explaining why it took so long for the brand to expand stateside, Creative Director Ditte Reffstrup told Refinery29, the US "is probably one of the most sophisticated e-commerce markets in the world, so we wanted to make sure we could deliver on a premium customer service experience without compromising." US consumers will now be able to shop web exclusives as well as from the label's four seasonal collections. The customer service experience that Reffstrup highlighted as a primary concern for the platform includes free ground shipping in the US. Previously, US consumers were only able to get Ganni pieces through third-party sites including Net-a-Porter and Need Supply. To celebrate the launch in the US, Ganni has created an exclusive 29-piece capsule that will begin shipping next week. The capsule is called "Have a Honey Holiday". It is comprised of ready-to-wear pieces including floral and animal printed dresses and separates for summer. Founded in 2000 on the premise of creating the perfect cashmere knit, Ganni has developed a cult Instagram following for offering what the label described in a recent interview with Marie Claire as a "third alternative" to typical Scandanavian style. Reffstrup said in the interview that the brand seeks "a more playful and effortless approach to design" that is neither "high-concept Scandi-style [nor] girly-boho." The label is proud of its "Nordic design heritage, but not limited by its traditional minimalist expression." The Ganni "Have a Honey Holiday" collection launches May 7.